French clothing brand A.P.C. 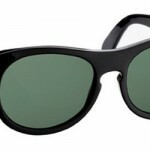 has joined Italian eyewear brand L.G.R to produce a Spring/Summer 2012 model of exclusive, completely hand made sunglasses in black or tortoise. Made with with photochromic lenses, which means the colour of the glass adapts to the brightness, the sunglasses will be available on May 10. 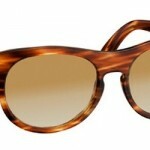 This entry was posted in Sunglasses and tagged A.P.C., L.G.R., Sunglasses. Bookmark the permalink.